Oppo revealed its latest member to the N series with the N3 - the successor to the previous year N1. 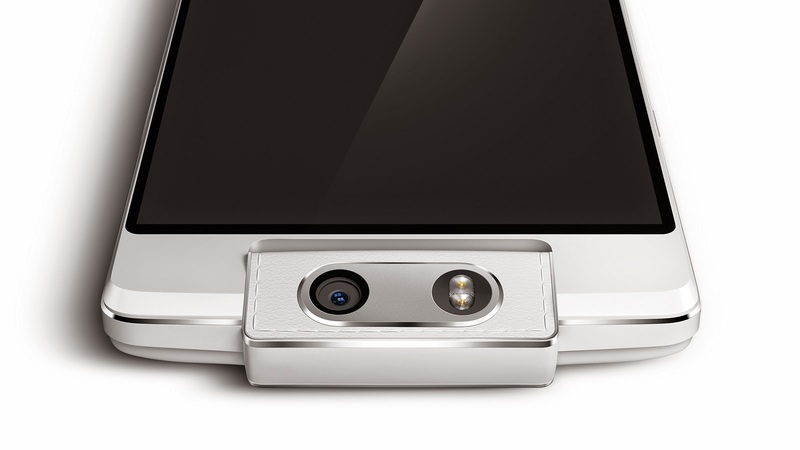 The Oppo N3 also features the unique feature found on the N1, the rotating camera, but the camera has been enhanced with a 16 MP sensor and it's motorized. 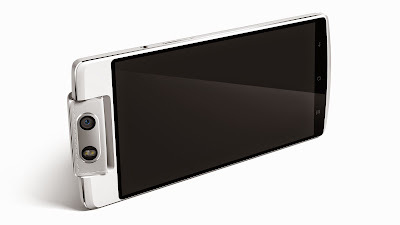 The N3's camera capable to rotates 206 degrees and double up as selfie camera too. The f/2.2 16 MP camera paired with a Dual-mode LED flash and comes with a new O-Click Bluetooth remote that adjust the camera's angle and captures photo. There's a cool way to takes panorama shot, the Auto Panorama takes advantage of the motorized swivel camera which automatically rotate the camera and capture panorama shot while you hold the phone still. Also, there's a fingerprint scanner on the rear of the phone, which allow registered fingerprint to unlock the N3 and accessing specific apps and features. 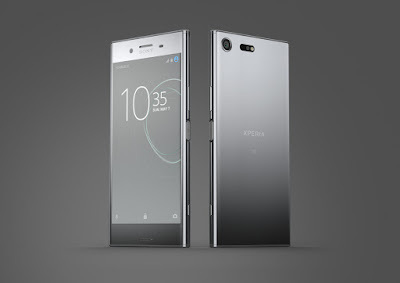 The device is powered by a 2.3 GHz Quad-core Snapdragon 801 SoC, 2 GB of RAM and 32 GB of internal storage (support up to 128 GB microSD card). It houses a 5.5 inch Full HD TFT 1080p display with Corning Gorilla Glass 3. Other features included NFC, Bluetooth 4.0, GPS, USB OTG, 4G LTE (Micro SIM + Nano SIM) and a 3,000 mAh battery with VOOC rapid charging. A quick 5 minutes charge provide you 2 hours phone call and reach 75% battery in just half an hour charge. Like the Find 7, there is a "Skyline Notification" light at the bottom of the N3. The N3 runs on ColorOS 2.0 based on Android 4.4. It will be available in all markets later this year including Malaysia, there's no word on local availability and pricing of the device. 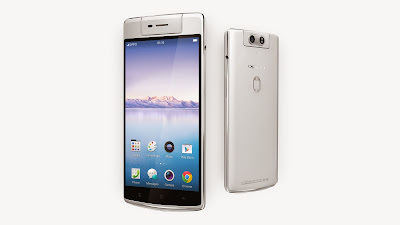 UPDATE: The Oppo N3 is now available for pre-order at RM2,098 and will be arrived on 1st January 2015. Click here for more information.